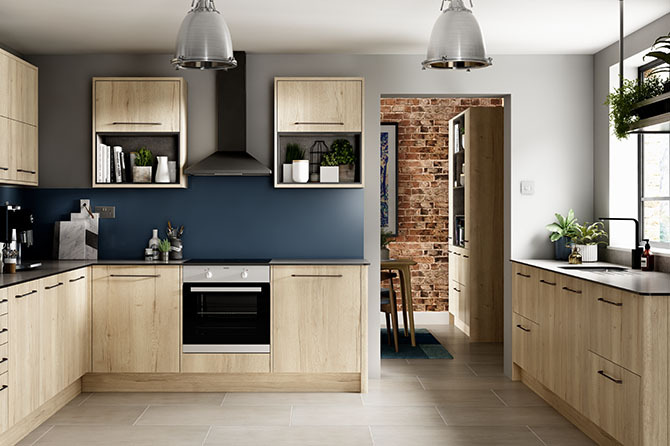 The Eton Oak Kitchen, inspired by the latest flooring industry trends, comes with a textured and embossed finish which gives the room an industrial ‘loft-living’ look. This particular style has been designed with modern aesthetics and practicality at the forefront. Whilst the overall look of the kitchen is most certainly modern and sleek, if you’re looking to add a little more character, there are a few subtle inclusions that we’d recommend. 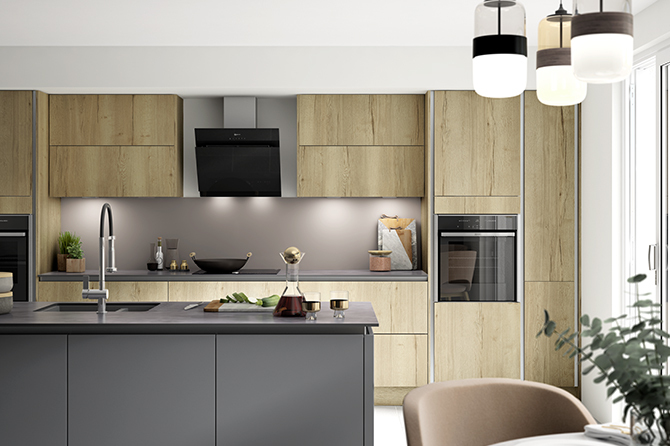 For example, using compact laminate worktops for bespoke shelving can give your design that something special. As for the practicality element, the Eton oak carries the key feature seen through the entire family - melamine facing with ABS edging to protect against everyday scuffs, scratches & moisture; it’s also easy to wipe clean. If you’re interested in the Richmond Oak kitchen then please book a free design consultation using the buttons below.